For some unknown reasons, the lady working in my train wagon had a pleasure of waking me up several times during the trip... Nevertheless, a smooth trip into Azerbaijan. 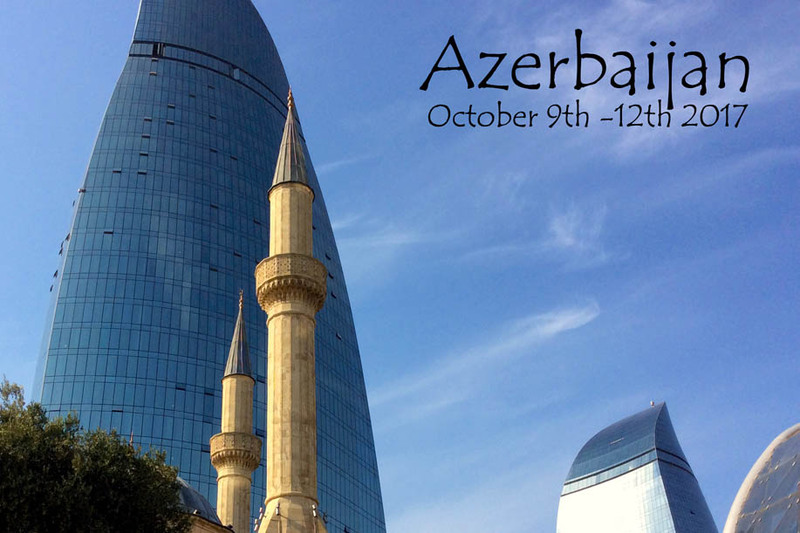 I unfortunately spent only 3 days in Azerbaijan, visiting extensively Baku and its surrounding. The city was great, with many new interesting buildings built on petro dollars. The country’s main economy is petrol, exporting for billions of dollars annually to Turkey and surrounding countries. I learned that the first oil well was built in Azerbaijan in 1846, much before the Americans did it in Pennsylvania. I took an organized tour and we visited petroglyphs, mud volcanoes, the burning temple and burning mountain, a curious hill where methane rising to the surface (due to pressure) has been burning for thousands of years. On October 12th, I left Baku, flying to London for 2 days before getting back to Montreal. This concluded more than 4 months on the road (and in the air! ), visiting the mot interesting former Soviet Republics and Asia. You can check more of my pictures from Azerbaijan on flickr.